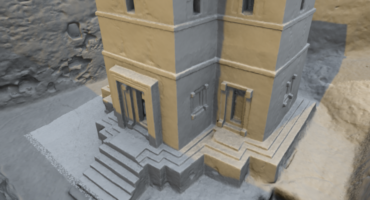 This week we head to Turkey, where Mehmet Özkaya from NRJ Engineering has scanned this incredible Turkish landmark. My name is Mehmet Özkaya, creator of the Adana Central Mosque model. I’m a survey engineer who works for NRJ Engineering, a small survey company in Adana, Turkey. We are using various UAV’s for land survey and mapping purposes. As a local engineering firm, Adana Central Mosque is a must for us. It is a very nice and unique model work for us. Adana Central Mosque (Also known as Sabanci Central Mosque), is located in Adana. It’s the largest mosque in Turkey. It was built by Turkish Religious Foundation and Sabanci Foundation and its construction took more than ten years. When finished in 1998, the Adana mosque was the largest mosque in Balkans and Middle East. It has six minarets and four of them are 99 meters high. The largest of its five domes is 32 meters in diameter and 54 meters high. Adana Central Mosque is built on the intersection of the main arteries, railway lines and roads that connect Adana to the surrounding cities and towns. It has almost become the symbol of the city with its high minarets visible from almost anywhere in the city. The Mosque has a capacity to offer service to 28,500 people. We used a Nikon Coolpix A camera with Aibotix X6 platform for this project. We captured 423 photos from various angles. The photos were taken with 80% overlap. 19 ground control points were marked in the model area. The ground control points coordinates were measured via the Leica Viva GS15 GNSS system. Photos were processed with Agisoft PhotoScan Professional. After creating the mesh and model in Agisoft we decimated the final model in Blender for Sketchfab optimization. All photos where captured on three flights. One autonomous flight for nadir photos and two manual flights for oblique photos. 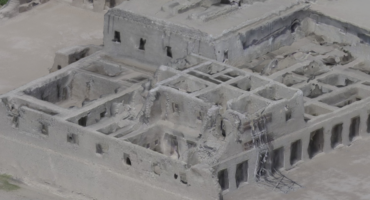 The high precision point cloud can be downloaded from here. wow this is one big scan! !